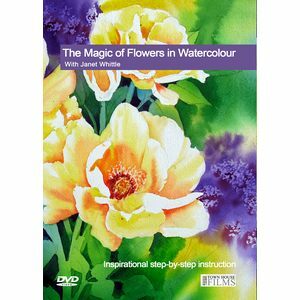 Janet Whittle is a professional artist and qualified teacher who specializes in flowers and landscapes in watercolour and pastel. She exhibits regularly at the Westminster Galleries in London, and has also shown her work at the prestigious Mall Galleries and other international venues. Janet has received many major awards including the Founder President’s Honour by the Society of Botanical Artists. Janet Whittle has a unique, friendly style that you will find inspiring and helpful.